Nationalist Movement Party (MHP) leader Devlet Bahçeli has criticized Ekrem İmamoğlu, the main opposition Republican People’s Party (CHP) mayoral candidate for Istanbul, over his appearance at a football match between Istanbul football clubs Beşiktaş and Medipol Başakşehir on April 13. “To take the issue of the certificate of election to the stadium is a seed planted to transform the competition between clubs into enmity. He won’t make a good mayor,” Bahçeli said on April 14 at a meeting of his party in Ankara’s district of Kızılcahamam. 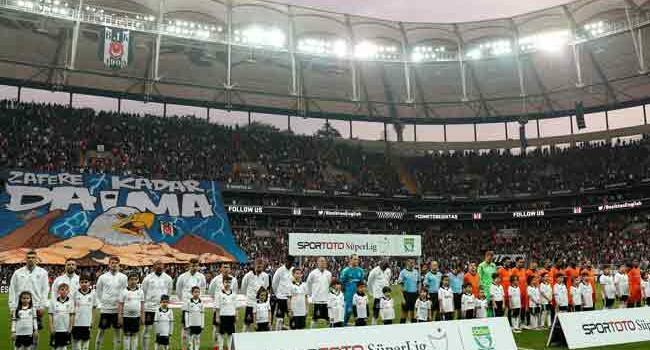 İmamoğlu watched the Beşiktaş-Başakşehir game at Beşiktaş’s Vodafone Park stadium late on April 13, with some fan groups chanting to support him. According to the current unofficial results in the Istanbul mayoral race, İmamoğlu leads the votes against the ruling Justice and Development Party’s (AKP) Binali Yıldırım, but has so far not received his certificate of election from the Supreme Election Council (YSK) following AKP’s appeal to recount the votes. İmamoğlu is also expected to attend the derby match between Galatasaray and Fenerbahçe at the latter’s stadium in Istanbul on April 14.